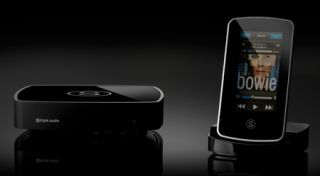 Simple Audio adds digital out, Deezer and Twonky support to Roomplayers | What Hi-Fi? Simple Audio has issued a software update for its Roomplayer multiroom system that enables the digital output and adds Deezer and Twonky support. The update enables owners of a Roomplayer I or II to connect them to an external DAC or home entertainment system via either the optical or coaxial digital outputs. To select the digital output, go to the Set-up your Roomplayer menu, choose the 'audio output' dropdown and select 'digital'. There's also now Twonky playback support, so if you're using a Twonky-enabled NAS (network attached storage device) you can stream music directly from it to your Roomplayer without having to keep your computer switched on. You can also select tracks to play via the Simple Audio iOS control app. Finally, Simple Audio has teamed up with music streaming service Deezer to bring access to around 15 million tracks. The Simple Audio system connects directly to Deezer so you can serach and play tracks, albums and artists, as well as themed radio stations. To find out how to update your Roomplayers, desktop controlelrs and iOS apps, follow the instructions on this page on the Simple Audio website.